What do Hocus Pocus, Freaky Friday and Boy Meets World all have in common? They're all Disney properties that will soon make a reappearance into our lives. This past week, various news stories announced a reboot of Hocus Pocus, a musical version of Freaky Friday, and the streaming of Boy Meets World episodes on Hulu. It got us thinking, everyone loves a good Disney show or movie. And a lot of that has to do with the endless supply of hit songs from their films. So, what better way to celebrate all of this wonderful news than with a list of our favorite Disney performances from college acs-groups from 2017? Enjoy the magical marriage of Disney and a cappella in the videos below. 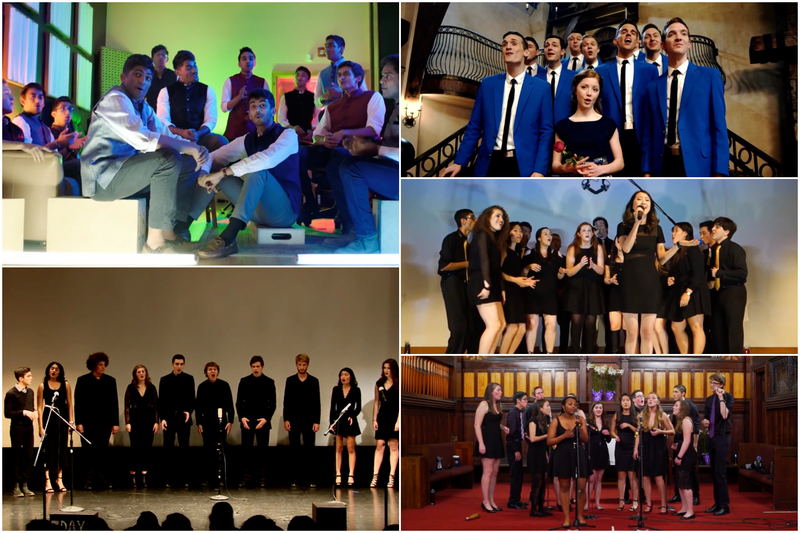 Tufts University has an a cappella group devoted to performing songs from Disney movies! That alone is worth watching the below video of the group covering a soulful take on the NeYo hit from The Princess and the Frog. The Aristocats find the right balance between contemporary pop and Broadway musical with "How Far I'll Go" from Moana. It's theatrical without being cheesy. Can you say production to the max? Vocal Point's music videos are always big on quality, and their medley of Beauty and the Beast songs takes everything up another level. Great vocals, great props and a great collaboration with YouTube star Lexi Walker. Admit it, you mostly watched DuckTales for the opening theme song? So did we. But I'm willing to bet that you've never heard it in Hindi. Well, Disney XD tapped Penn Masala for a version that's both nostalgic and refreshingly original. Part of the reason Disney movies are so great are due in part to having a menacing and exciting baddie. Well, 7Days A Cappella gives them the spotlight in this "killer" Villain Medley. While the video was shot in December of this past year, it was too good not to make the list.